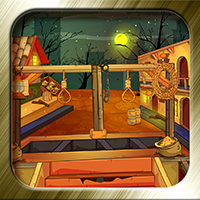 Description: 1032 Wood house escape is another enchanting point and click type new room escape game developed by ENA games for free. Imagine a situation that your father is a great scientist doing research lonely in his farmhouse made of wood. Usually, he won‘t allow anyone to enter his wood house. One day he went abroad for his presentation. Meanwhile, with curiosity you entered that wood house. But your father made a trap such that if anyone enters into that wood house, the doors will lock automatically and make the intruder to get stuck inside the house. As you don‘t know how to open the door, you need to find the necessary objects to solve the puzzles. As you are the person of problem solving nature, surely you will achieve it. Have greater Excitement and Fun by playing new escape games daily. Good Luck and Best Wishes from escape Games.